An overly-organized project management specialist, Ashley has a passion for all things operations related. You won’t find her without her to-do list and colored-coded pens in hand. Ashley’s eagerness and enthusiasm makes it easy for her to take on challenges, find solutions and get the job done no matter what the circumstance. Ashley brings a variety of strategic project management and communications experience to On Point Custom Homes. 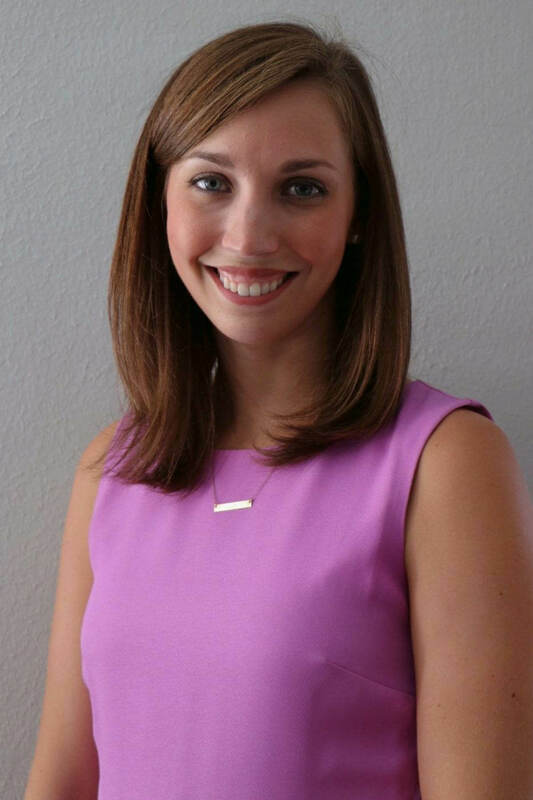 From non-profit experience to agency life, Ashley has worked with a multitude of local and national businesses helping them reach their business goals through strategic and integrated operational efforts. Never satisfied with the status-quo, Ashley isn’t afraid of pushing boundaries, trying new creative techniques or mixing methods to accomplish amazing results. Ashley spearheaded several award-winning media, community and social media campaigns and was the digital advertising lead at her previous agency. Ashley joined On Point’s in-house team as our Marketing Director in 2017 after working with John and Earl for several years managing On Point’s communications efforts at her previous agency. Her passion for creating a quality experience coupled with her willingness to push the envelope matches perfectly with On Point’s mission. As our VP of Operations, Ashley wears a multitude of hats while managing all of our internal operations, coordinating our real estate transactions and overseeing all internal and external communications. A born-and-raised Houstonian, Ashley is no stranger to the Houston real estate industry. Her mother worked as a mortgage lender as well as in a title office, so lessons on home loans, closings and real estate investments were regular dinner-time conversation. Ashley attended HSPVA and then headed down south to attend the University of South Carolina (the real Carolina, despite what John says!) where she received a Bachelor’s degree in public relations and business. Always looking for something to keep her busy, you can usually find this Houston native out and about exploring the city. An arts enthusiast, dessert connoisseur and party planner extraordinaire, Ashley loves finding new happy hour spots, traveling and all things Texas (especially Blue Bell Ice Cream! ).